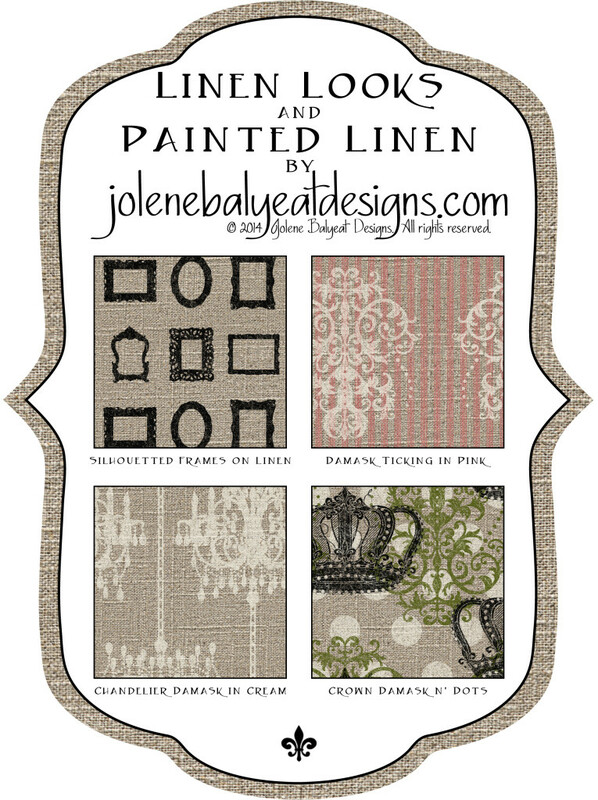 Just in time for spring, I am excited to introduce my two newest coordinating fabric groups Linen Looks and Painted Linen for everyone who loves the look of linen, but would prefer more ease of care! The amazing part is, any of the following designs can be printed on Cotton, Knit, Sateen, Twill, Voile, Silk Crepe de Chine, Cotton Silk, Canvas, Silky Faille, Wrapping Paper, Wall Paper, and Decals! This opens up quite a few possibilities for one of a kind creations! Please share pictures with me if you are inspired to make something fabulous! 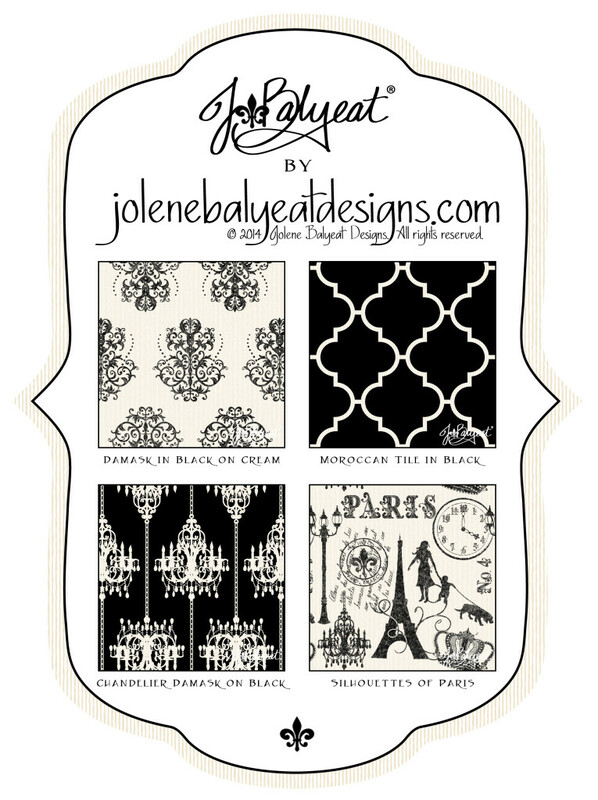 Inspired by the stationery designs available on jbalyeat.com the JBalyeat fabric collection is available on Spoonflower at last! In the classic elegance of black and cream, creations will be less shabby and more chic in this modernized version of a vintage French theme.